Prison officers could protest again if their concerns over safety in jails are not addressed, a union has warned. 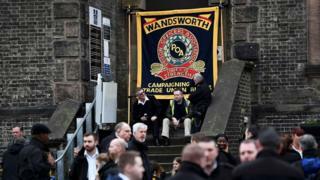 Up to 10,000 prison officers in England and Wales stopped work on Tuesday over a “surge” of violence in jails. 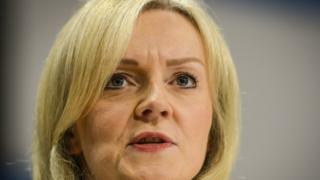 The Prison Officers Association said it held “positive” talks with Justice Secretary Liz Truss on Thursday. But its national chairman, Mike Rolfe, refused to rule out further action, saying “health and safety concerns need to be taken seriously”. Court cases were halted after protests were held outside jails across England and Wales, prompting the government to go to the High Court to secure an injunction to order prison officers back to work. It is illegal for officers to strike, but the POA had directed its members to stop working after talks with the government over health and safety concerns broke down. Speaking after Thursday’s meeting with Ms Truss, Mr Rolfe said: “Our members need to feel safe. “Our health and safety concerns need to be taken seriously. “If these talks fall flat on their face then we won’t be able to rule anything out. “We realise the implications of that. How dangerous are our prisons? The protests followed surging numbers of assaults on staff and high-profile incidents, such as the escape of two inmates who were later recaptured and charged over the incident. Mr Rolfe said it was “unfortunate” that the union took the step, but insisted it was essential to “raise the profile” of what was going on behind bars. He told BBC News: “Our members can no longer face the levels of violence they are facing. Mr Rolfe said prison officer numbers needed to go up “quickly”, adding that a recruitment drive to employ 2,500 new staff was a “good start” but “we would certainly want to see a lot more”. In a statement after the meeting, Ms Truss said she had held “constructive talks” with the union. She said: “I expressed my disappointment at their unlawful industrial action. “However, now prison officers are back at work, it is important that we move forward. “I have always been clear that my priority is making prisons places of safety and reform and I outlined the immediate progress we are making on security and staff recruitment and retention. Meanwhile, photos emerged on Wednesday of inmates eating steaks and takeaways. An investigation has been launched after the publication of pictures – which appeared also to depict drug possession – were taken on an illegally-held phone inside HMP Guys Marsh, near Shaftesbury, Dorset, and posted to social media. A Downing Street spokesman said the behaviour was “totally unacceptable”, adding that Prime Minister Theresa May was “fully supportive” of Ms Truss and her plans to reform the prison service. Earlier this month, Ms Truss unveiled a White Paper detailing a 1.3bn investment in new prisons over the next five years, including plans for 2,100 extra prison officers, drug tests for inmates on entry and exit from prisons, and more autonomy for governors.